By Road: Shimoga is the nearest bus junction which is very well connected to other cities by bus/cab services. Agumbe is around 2-3 hrs. of drive from Shimoga. You get direct buses from Bangalore (8 hrs. ), Mysore (6 hrs.) and Mangalore (2 hrs.). By Rail: Shimoga is the nearest railways station which is very well connected to other cities by rail. Agumbe is around 2-3 hrs. of drive from Shimoga. By Air: Mangalore is the nearest airport and it is very well connected to domestic as well as international destinations. Agumbe is just 2 hrs. drive from Mangalore. The trek starts from a village called Malandur, 6kms from Agumbe. 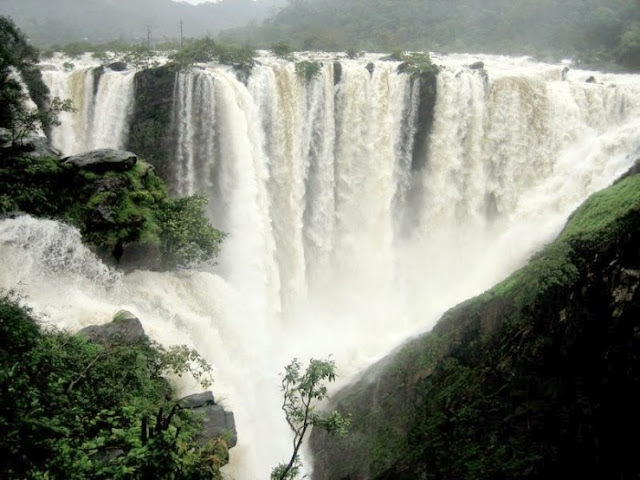 The standard route is Malandur- Barkana Falls – Narasimha Parvatha – Kigga. Most part of the trek to Barkana falls is through dense jungle and no trails! Yes, there is no trail for most part and if you don’t have a guide, you are bound to get lost. The hike to Barkana Falls is not too steep, very gradual climb and some downhill too. The forest cover is so thick that sun was having no effect on you and it would be a leech fest it would be during monsoon in there. The falls, similar to Bandajje, plunges down a huge rock face in the middle of the mountain. There is a small opening at the top which give the view of the surrounding mountains. 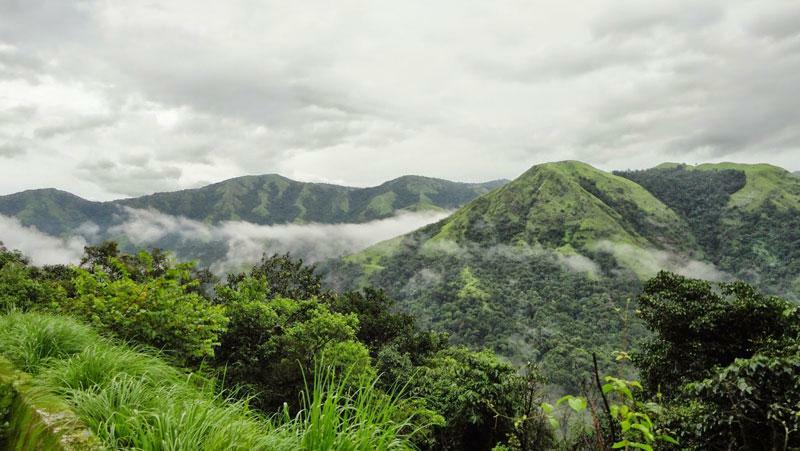 In Agumbe, like Uttara Kannada, the mountains are small and are completely covered by forests; you hardly see grasslands except in the higher mountains. The climb gets really steep now and again there is no path for another 3kms till you reach the grasslands. The same thick forests all over, very different from what you see in other mountains like Kumara Parvatha or Kudremukh but very dense. There is no water point after the falls so you need to carry till you reach the camp. After spending some time at the peak you can go down to a small shed below the peak on the Kigga side, the place where you can camp for the night. It doesn’t take more than hour and a half to reach Kigga. You will take only 2 hours to reach back to base at the bottom. Start from Bangalore. Reach Sringeri. Reach Kigga. Ask forest department either before coming to Kigga or ask right there. Take permission. Start Trek. No water points midways. Camp at the peak. Return next day. Catch bus to Bangalore in the evening. The initial part of the trail is flat and easy, taking you slowly into the deeper part of the forest. The Sita River winds through this path. Many small streams flow around the trail during monsoon. As you march further, the forest gets thicker and the trail more inclined. 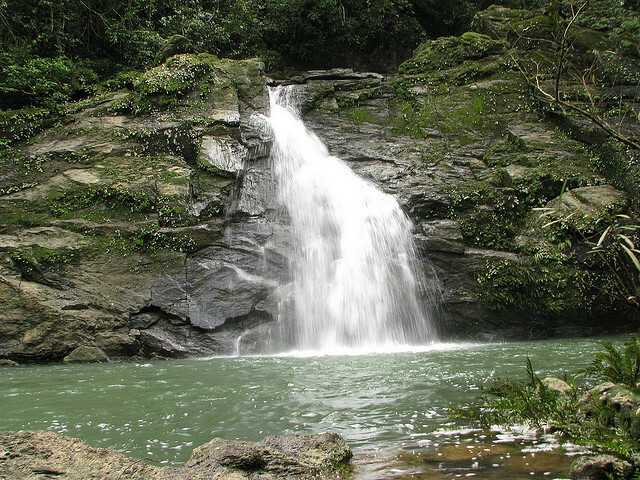 The Sita River narrows down, plunging down a gorge to become the Barkana waterfall. 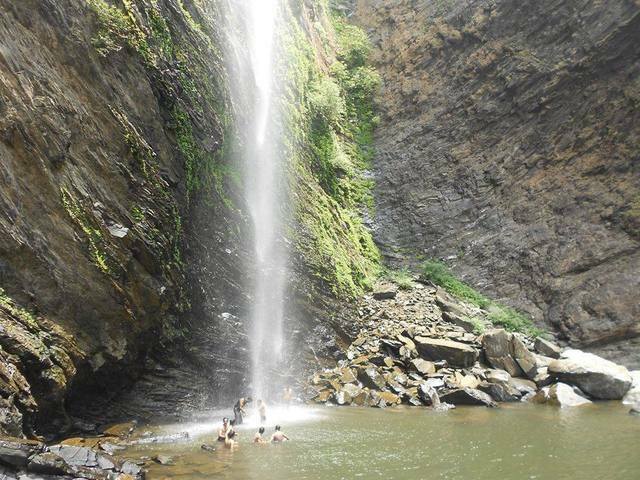 The total trek distance from Malandur to this waterfall is around 8 km. This stream makes for a good water source. Navigate around rocks to reach the top of this waterfall. The rocks here are slippery, so care needs to be taken while climbing up. As you reach the top, you can catch a glimpse of water cascading down from a height of 2,200 feet. The roaring waterfall amidst silent green valleys makes for a nice contrast. From here onwards, the trek becomes tougher, as the trail is steep until you reach the end of forest. This three kilometre trek takes around 2-3 hours to navigate. The trails are slippery, steep, and full of leeches. Once you reach the end of forest, there is a sudden change in the landscape. The forests give way to beautiful grasslands, with shrubs dotting the path all the way to the peak. After the heat and humidity of the forest, the cool wind of the high grasslands is a welcome change. 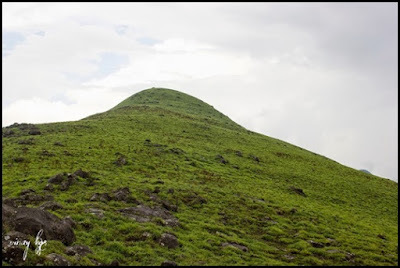 From the grasslands, the peak is around 2 km away and it takes around 2-3 hours to navigate to the top. Towards the end, you encounter a small stretch of forest for 20 minutes and then back to plains again. A beautiful view of Kudremukh ranges greets you at the top. The peak makes for a good sunset point with stunning views all around. When you descend from the peak, look out for an old house. Though this makes for a good camping place, due to the increased presence of wild animals in this area, permission to camp is generally denied. Close to the old hut, there is a water source, from where you can fill water. You can also ascend Narasimha Parvatha through Kigga. The six km trek takes around 5-6 hours and the trek starts from the Kigga temple. The initial trek of one kilometre towards the forest is easy. This stretch takes a mere 20-30 minutes. The next stretch inside the forest is around 2 kilometres and takes around two hours or so. The trail is a continuous ascent. Once the forest stretch ends, you encounter grasslands for another 3 km until you reach the peak. This final stretch takes around 2-3 hours. Water sources on this trail are only found at the end of the trek, near an old hut just below the peak. You can descend via the Kigga route. It takes around 2 hours from the peak to descend towards the temple. But the descent is steep and can be strenuous with slippery rocks and dry leaves covering the path. The trail is a mixture of shola forests and grasslands till you finally reach the Rishya Shringa temple at Kigga. 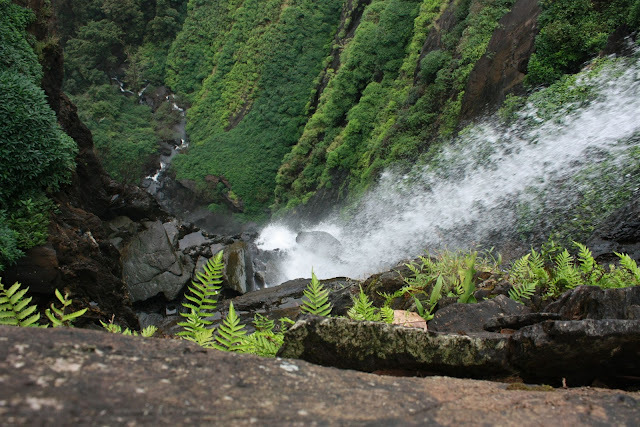 Barkana and Kunchikal Falls: The spectacular Barkana waterfall is a 7 Km drive from Agumbe. Forming a V-shaped valley,the river Sita graces theland. Whilst Barkana falls descends from a height of 850 ft, Kunchikal Falls descends from a height of 1493 feet. Now, these are definitely must visits. Nishani Gudda: If you want to hike, then Jogigundi is the perfect destination. Deriving its name from a saint named Jogi, this falls is just about 10-15 minutes from Agumbe. A small pond originates here and makes its way through a 50 ft deep cave. Be careful of leeches and other insects on your hiking route.